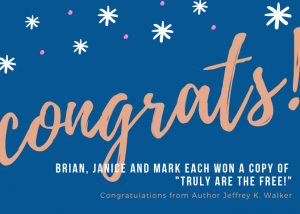 I’m delighted for these three winners who will soon have a copy of Truly Are the Free in their hot little hands! And welcome to all of you who signed up for my newsletter. I’m happy to have you on board. Feel free to contact me with your brilliant thoughts and be sure to leave comments on my weekly blog posts. I enjoy hearing from my readers very much. SURPRISE! BOOK GIVEAWAY GOING ON HERE! In honor of Black History Month, I want to give YOU the chance to receive my novel Truly Are the Free FOR FREE! I’m giving away three paperback copies of what esteemed authority on the Harlem’s Hell Fighters, Stephen L. Harris, says “is one of the best novels in recent years about the most cataclysmic event of the 20th Century.” So c’mon and enter. I hope you win! 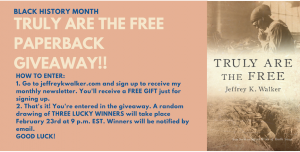 Invite your friends to visit my website to enter, too. You’re already here, so just sign up and you’re entered. Instructions 👆👆👆. GOOD LUCK! 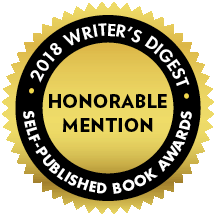 Very pleased to hear this morning that my second novel, Truly Are the Free, was awarded an Honorable Mention in the Writer’s Digest 2018 Self-Published Book Awards. My book was selected from among more than 2,300 entrants. Last year, WD awarded just 35 honorable mentions across all eight categories. I was honored to participate in a very special edition of The Writer’s Block. In conjunction with Veterans Coming Home, the show featured talented poets and authors who are veterans, active-duty service members or family members of those who served. We all shared important memories of our service– some funny, some touching and one that came with a recipe for fruit cake used during WWII! I am pleased and honored to report that Truly Are the Free was recognized as a 2018 Independent Author Network Finalist for Best Historical Fiction Award. Thank you so much, IAN! I’m sorry the icon is blurry- can’t correct it but still want to show it with pride. What a fun trip back in my hometown! 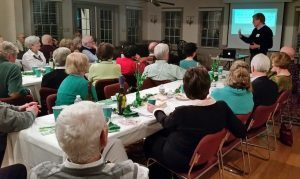 High school reunion festivities and catching up with so many dear old friends, a chance to speak at both the Streator Library and Streator Township High School and an amazing book club chat arranged by Janice Corrigan and hosted by Donna Stone. So many highlights but the most special may be that my ninety-year-old mother got to hear me talk about my research, my writing and my journey to becoming an author. She was an important influence in it all, that’s for sure. Thank you to my friends old and new and my family for enthusiastically supporting me. Your kindness means the world to me. Thank you to Jackie Hawks for inviting me and to Barbara O’Connor for hosting a terrific book club chat. I appreciated your enthusiasm, friendliness and engagement. What a treat to meet all of you! BIG NEWS! 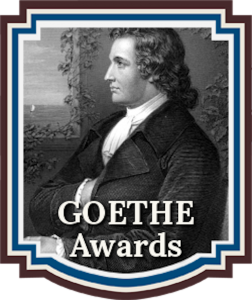 I am honored and excited to report that my novel None of Us the Same has been short-listed for the Goethe Book Awards! What an honor. Congratulations to all selected as we head to the semi-finalist round. Best of luck! 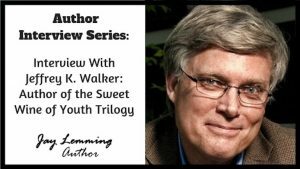 Thanks so much, to fellow author Jay Lemming for this fun and, I hope, informative interview. I’m looking forward to hearing from both his followers and mine with questions and comments. Did you enjoy the interview? Have any additional questions? What are you curious about? Fire away! Want to learn more about Jay Lemming? Jay writes literary fiction and a little horror, too. You should check out his Billy Maddox Takes His Shot. Some terrific U.S. Border Patrol fiction. Honored to be the featured veteran sharing my thoughts on my life’s journey after the military on today’s Suit Soldier podcast. I hope you’ll tune in. Pretty fun morning sitting in my own living room discussing None of Us the Same with a wonderful group of ladies. Yes, it was my wife’s turn to host book club and she kindly arranged for me to be the guest. You know, I never tire of getting into the “how” and “why” of my writing. Always delighted, too, to hear my book was well liked. Thanks, dear wife, for inviting me, and to all of the members for your excellent questions. Many thanks to the talented Nancy Jardine, fellow historical fiction author, for featuring me on her blog today. Have a read about jazz, avant-garde Paris, the Dadaists and more. What a blast at Charlie’s American Cafe in Norfolk tonight. Kathy Martin Cheek emceed WHRO’s The Writer’s Block, chocked full of talented authors and poets. I read from None of Us the Same an early scene at Uncle Johnny’s lighthouse. Here we are. Blurry shot but you can still tell what fun we had, right? I am delighted and proud to have a guest post featured on the multi-talented Helen Hollick’s Of History and Kings blog today. Wondering about the birth of a certain naughty word? I originally posted it on my blog and know you’ll enjoy checking out Helen’s site and reading it there. I really enjoy giving author talks. 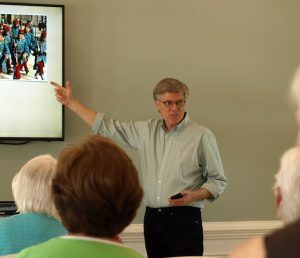 This one was for all of the Governor’s Land neighborhood’s book clubs in Williamsburg, Virginia. What a friendly and engaging group who asked terrific questions. Thanks for organizing the event and inviting me, Mish Kara. I am very happy to donate copies of my two books to the terrific organization Clear Path For Veterans. 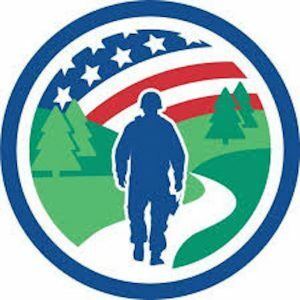 Let me share their laudable mission statement: “Recognizing the responsibility of communities to help those who serve, Clear Path for Veterans empowers Veterans, active service members, and their families through supportive programs and services in a safe, respectful environment.” Check them out. I am stoked to be interviewed by Chris Coker for an upcoming show on his Suit Soldier podcast. Chris, a prior-service Army Officer and Airborne Ranger, is committed to helping veterans transition into new job opportunities and businesses understand the unique talents and capabilities these fine people bring. I’ll be discussing my Air Force career and how I meandered my way to becoming an author. I’ll keep you posted on when the podcast will air. The people you meet while signing books. I had the pleasure of chatting with a reader from Texas, another from Illinois and a third from Vermont who want to discuss having me “visit” their book clubs via Skype or FaceTime. It’s been a nice, continental kind of day. Pssst. I snuck one in on you. 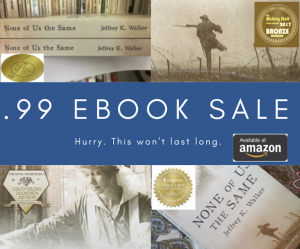 In celebration of my awards and my average review rating of 4.9 stars, I invite you to grab your ebook copy of None of Us the Same for only 99 cents on Amazon. That’s right, 99 pennies and boom, it’s on your Kindle. But hurry. This is a short but sweet deal just for you. Very pleased to receive a strong endorsement in this Historical Novel Society review. 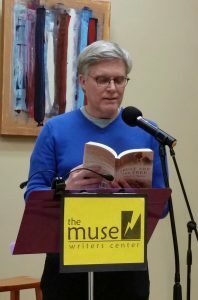 The Muse Writers Center in Norfolk hosted an appreciative crowd on Sunday who gathered to hear me and 4 amazing authors/poets read from our recent work. I read chapter fourteen from Truly Are the Free which describes an African-American WWI soldier’s unfortunate and unexpected experience when he returns to the U.S. via Newport News. This chapter always seems to quiet listeners and draw them into the unsettling scene. I was honored to be among such noted writers as Robert P. Arthur, who has published numerous works and was twice a finalist for Poet Laureate of Virginia. 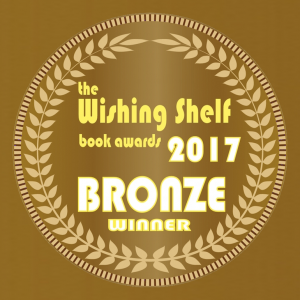 GREAT NEWS from the U.K.-based The Wishing Shelf Awards! I am proud to announce my novel None of Us the Same has won a 2017 bronze medal for best adult fiction. This is a thrilling feat and I am very pleased and excited. I hope you’ll share my good news. Tune in this morning at 11 a.m. to WHRV 89.5 FM to hear the premier broadcast of The Writer’s Block: The Lorraine Hansberry Edition. The show features several talented poets and authors, as well as Narissa Bond’s music. I was honored to be one of the featured artists. I hope you’ll listen as I read an excerpt from Truly Are the Free. If you can’t tune in today, you can listen anytime here. The P.E.O. women and the B.I.L. men welcomed me most graciously to speak about the history of WWI, its aftermath and how I was drawn to this remarkable and tragic era as the setting for my historical trilogy. A great evening with a very well-informed and engaged group that put me through my paces! Many thanks to Teri Collins for the invitation and arranging a wonderful event. Pinch me. 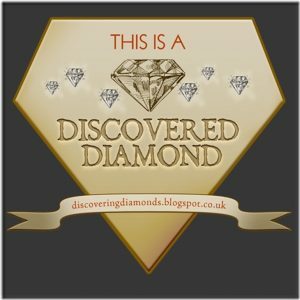 The venerable Helen Hollick at Discovering Diamonds just notified me that Truly Are the Free has received a Discovered Diamond award. This is a big deal within historical fiction and I am delighted. Thank you, Helen! Wow. I somehow missed this in my inbox but the fine people at indieBRAG poked me. Once again I have been honored with an award from these fine people. 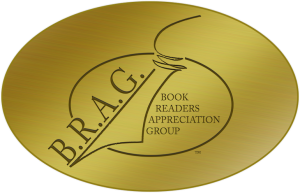 “We are proud to announce that TRULY ARE THE FREE by Jeffrey K. Walker is a B.R.A.G.Medallion Honoree. This tells readers that this book is well worth their time and money!” Thank you so much, indieBRAG! 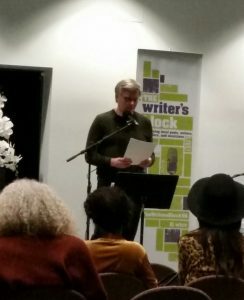 So honored to read from Truly Are the Free at WHRV / WHRO Studios for The Writer’s Block: The Lorraine Hansberry Edition. An extraordinarily talented group of writers performed plus the powerhouse singer Narissa Bond told stories through her music. An amazing night. 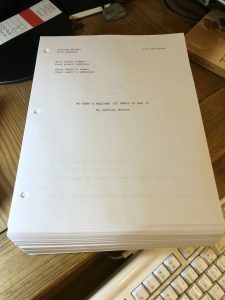 Stay tuned at jeffreykwalker.com for details on when this will air. Thank you, Barbara Hamm Lee, the WHRO/WHRV staff, Kathy Martin and Barry Graham. Please support public media. I’m quite pleased and honored to share this excellent news. 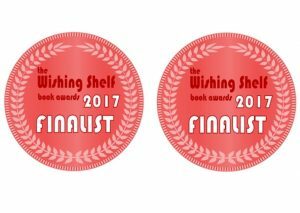 I just heard BOTH my recent books, None of Us the Same and Truly Are the Free, are finalists in the UK-based The Wishing Shelf 2017 Book Awards! I’ll be reading from Truly Are the Free tonight at the WHRO studios, our NPR station, for their “The Writer’s Block” program. Met an impressive group of well-read and inquisitive women ready to delve into a discussion of None of Us the Same. Thank you, Susan Fournier, for inviting me to visit your book club. I appreciated the sincere curiosity and detailed questions. I really had fun. 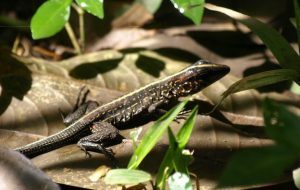 COSTA RICA! What an amazing place. Everyone who has visited always says they had an incredible trip here and now I know why. Definitely put it on your bucket list. Details in my Feb 11th blog post. Great kick off to book club visits in this new year with an engaging, knowledgeable group led by Ellen Masla. I truly enjoyed our discussion of None of Us the Same. Nice to hear of your interest in Truly Are the Free as well. Thanks so much for inviting me. Thank you to everyone who came by Barnes and Noble to say hello, stay and chat, and/or buy my books! I had a terrific time meeting so many wonderful, friendly people who love to read historical fiction. We sold out early of None of Us the Same but fortunately had enough copies of Truly Are the Free to appease. 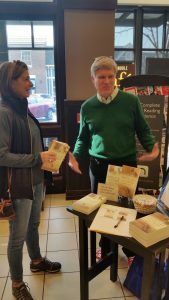 My thanks to manager Albert Kurtyka and the New Town Barnes and Noble for hosting me. Finding authentic voices for historical characters is an ongoing challenge for me. I share a little of my process in a guest post on fellow Historical Fiction author M.K. Tod’s excellent blog this morning. Traveled to Indonesia. Enjoyed being back in such a cool country but upon my return home, the jetlag really hit me hard. Ouch. What fun discussing None of Us the Same with this wonderful group of readers and writers led by Nancy Deming-May. Nancy had really done her homework and asked many insightful questions which I thoroughly enjoyed answering. Plus, the food, the water, the wine… what’s not to like? Thanks for having me, ladies. Great to meet so many friendly and interesting people at the Williamsburg Book Festival. Thanks for coming out, everyone. And did you get to hear Kathryn Aalto? What an energetic, curious, talented author. I was pleased to be the Spotlight Member at James River Writers’ “The Writing Show” at the Firehouse Theatre in Richmond, VA. I read a passage from None of Us the Same. 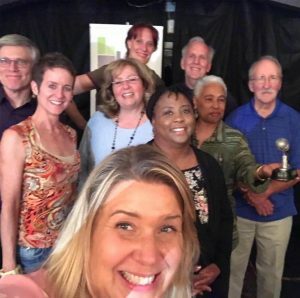 Wonderful writing group of which I am proud to be a member. I enjoyed my fun interview discussing None of Us the Same on Army Wife Talk Radio brought to you by Army Wife Network. Thank you, Debbie and Courtney!